Plastic bags and materials made out of plastic have become an essential part of our lives. We use these very frequently either to carry things from here and there or to keep things safe in a proper place. This indispensable necessity has become a necessary evil. It is proving to be an environmental threat. Fossil fuel like natural gas and petroleum is used to make plastics. Lethal chemicals were released into water bodies from these plastic bottles we buy. As plastic is non-biodegradable, it gets discarded into the environment causing a pollution havoc. A number of ways have been devised to fight the plastic pollution like physical degradation and chemical degradation of plastics. These methods have their own advantages and disadvantages. 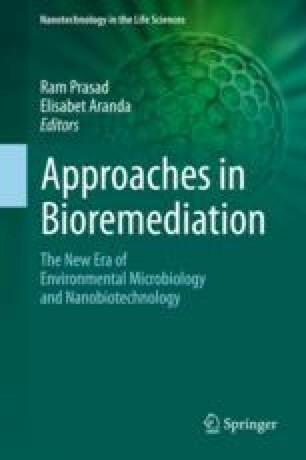 Now the most recent advances in this direction have been the process of biodegradation where we employ microbes. Microorganisms have a crucial role in biodegradation of materials including synthetic polymers in natural environments. Here we present a vivid account of the bioremediation of plastics and polythenes with the help of microbes. There are different types of plastics and plastic products. We need to probe into the constituents as well as the strategies for degradation of such products. The previous methods like the physical and the chemical methods of degradation of the xenobiotic products like plastics do not serve as the eco-friendly solution to overcome the dumping of the plastics in the environment. Thus we need to probe and devise ways and means to get a permanent and complete solution for the accumulation of plastic wastes in our surroundings. The perfect answer for the purpose is the use of microbes which produce enzymes to be used for the biodegradation of the plastic products.